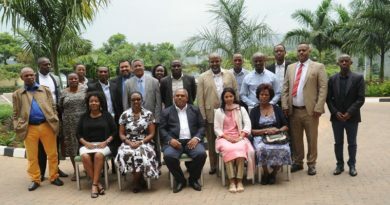 Rwanda and South Africa have signed a Memorandum of Understanding (MoU) to boost cooperation on environmental issues. 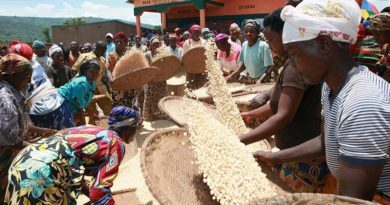 The agreement is a recognition of the importance of sustainable development for the protection and enhancement of the environment, as well as for the health and well-being of present and future generations – in Africa and around the world. 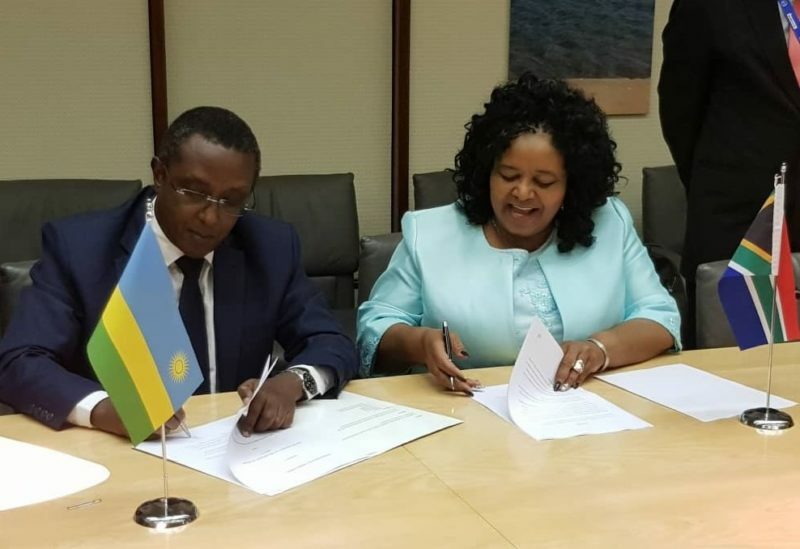 Vincent Biruta, Rwanda’s Minister of Envirinment and South Africa’s Environmental Affairs Minister, Edna Molewa signing the MoU. The agreement also intends to facilitate co-investment in the development of human capital, training and exchange of personnel, scientists, specialists and researchers taking part in joint projects and the exchange of scientific and technical information and data as well as relevant research results. It will also provide a framework for the exchange of information on biodiversity conservation, wildlife, law enforcement and compliance. 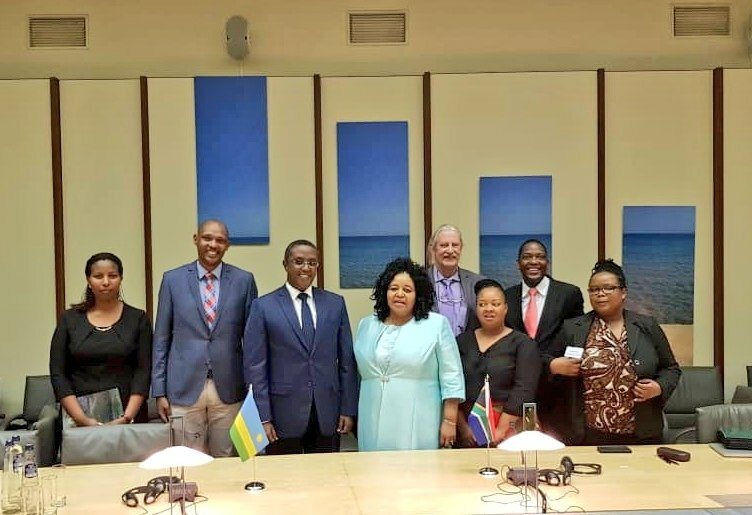 Through the MoU, South Africa and Rwanda will undertake capacity building and support the development of common African positions on Multilateral Environmental Agreements. 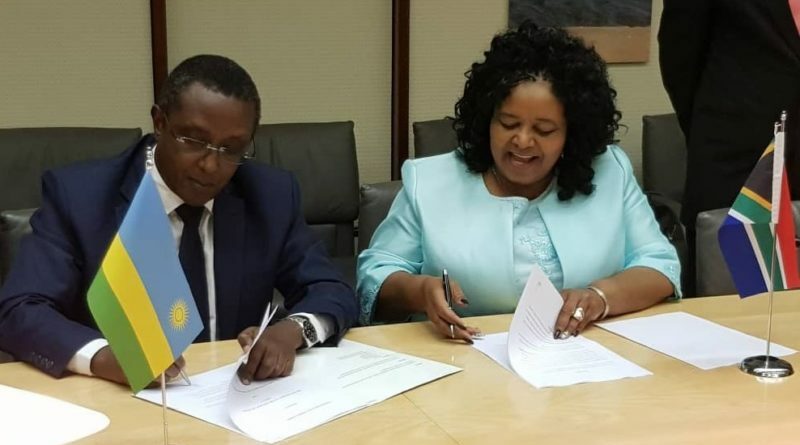 The agreement was signed by South Africa’s Environmental Affairs Minister, Edna Molewa, and Rwanda’s Minister of Environment, Vincent Biruta, on the sidelines of the Ministerial on Climate Action in Brussels, Belgium. 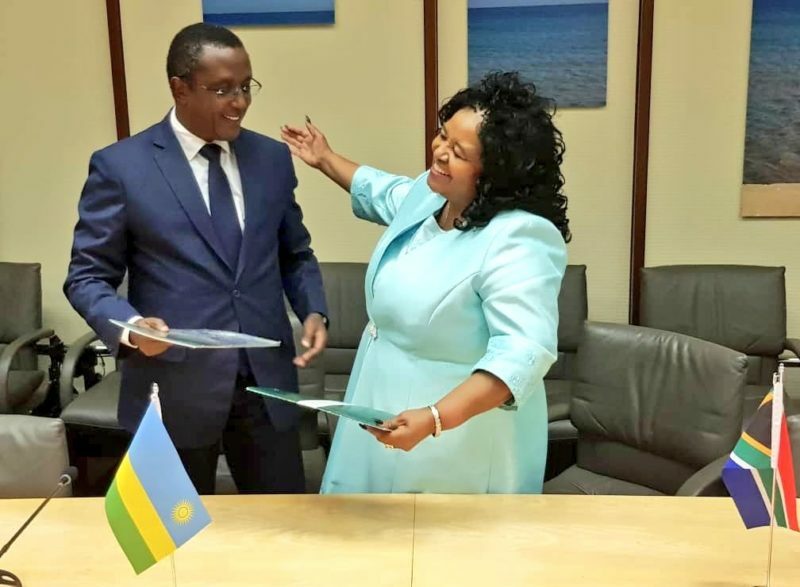 Vincent Biruta, Rwanda’s Minister of Envirinment charting with South Africa’s Environmental Affairs Minister, Edna Molewa. In recent years, Rwanda and South Africa have taken concrete steps to boost cooperation on environmental issues. 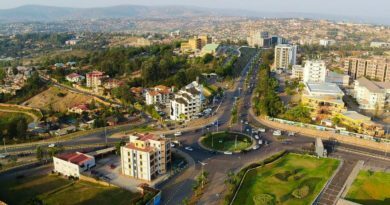 The two countries are founding co-chairs of the African Circular Economy Alliance, which aims to spur Africa’s transformation to a circular economy that delivers economic growth, jobs and positive environmental outcomes. The countries have also collaborated on wildlife conservation, with Rwanda receiving nine lions and 18 Eastern Black rhinos from South Africa in recent years to re-establish the species in Akagera National Park after their local extinction more than a decade ago. Participant to the signing of MoU posing for a group photo after the ceremony.